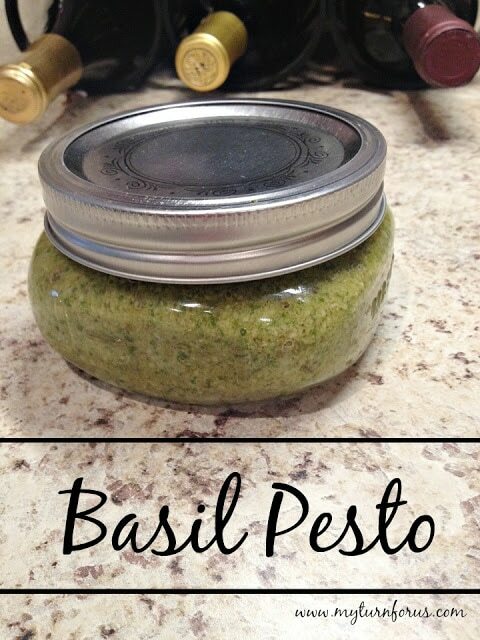 And just this week, our basil in our herb garden was ready to be harvested, so we whipped up our first batch of Homemade Basil Pesto for the summer! 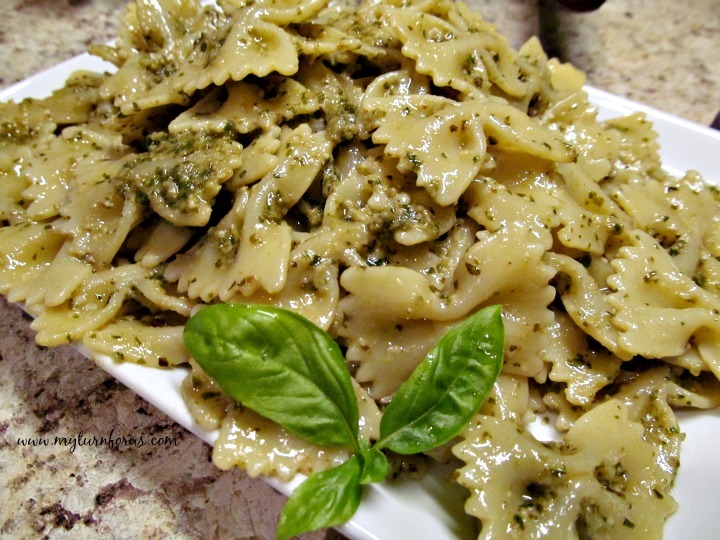 Store bought pesto is delicious but Homemade Pesto with Fresh Basil from the garden is amazing! 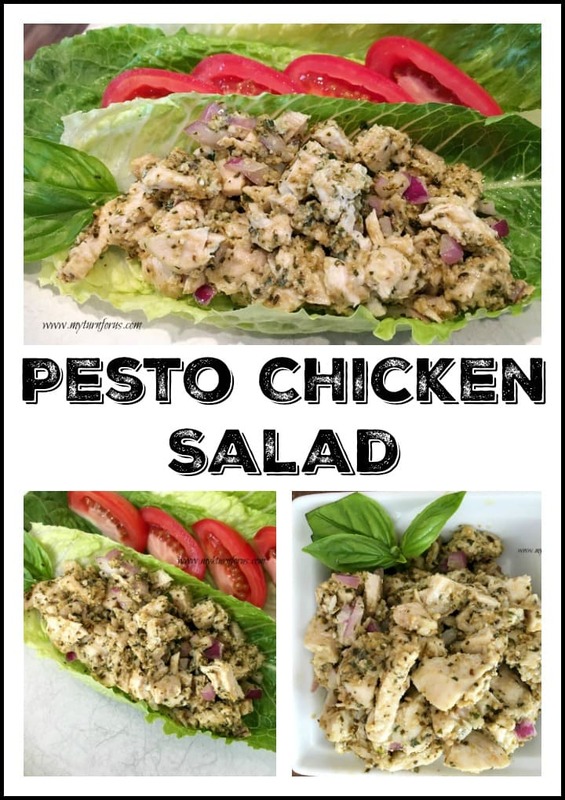 But alas we are watching our carbs this month so Pasta was not on our menu, so we came up with a delicious twist on Chicken Salad, a Pesto Chicken Salad! 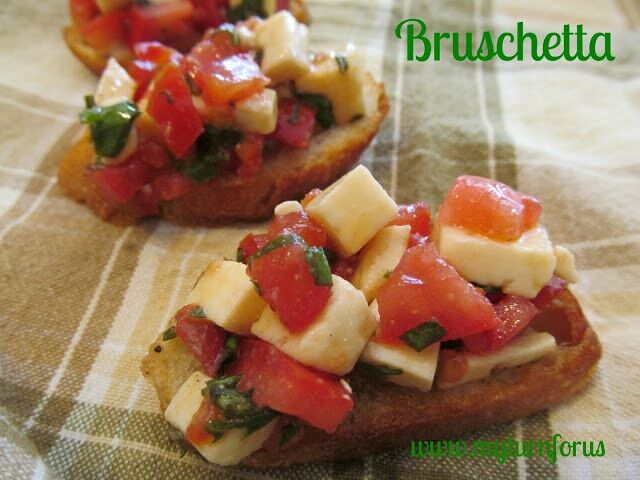 This could be served on a garden salad, stuffed into tomatoes or even on bread for a delicious sandwich. 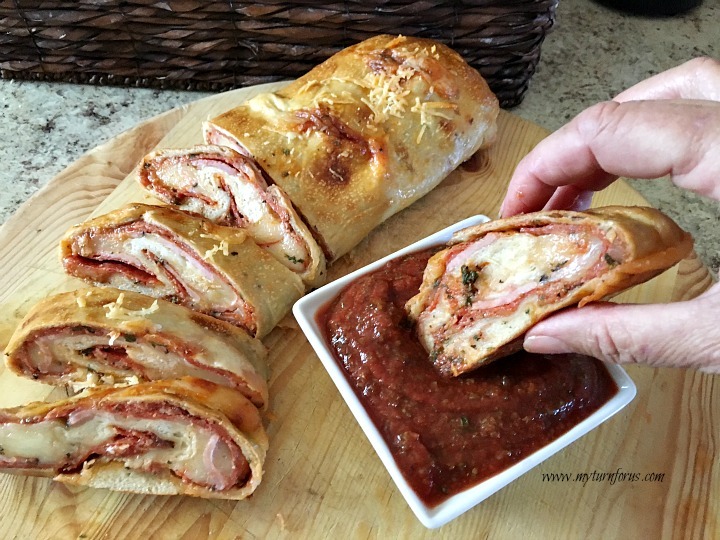 **Be sure and check out our recipe for Homemade Pesto, either click thru here or scroll to the bottom for pictures of other recipes we love! 1. Combine pesto, mayonnaise and onion in a medium bowl. 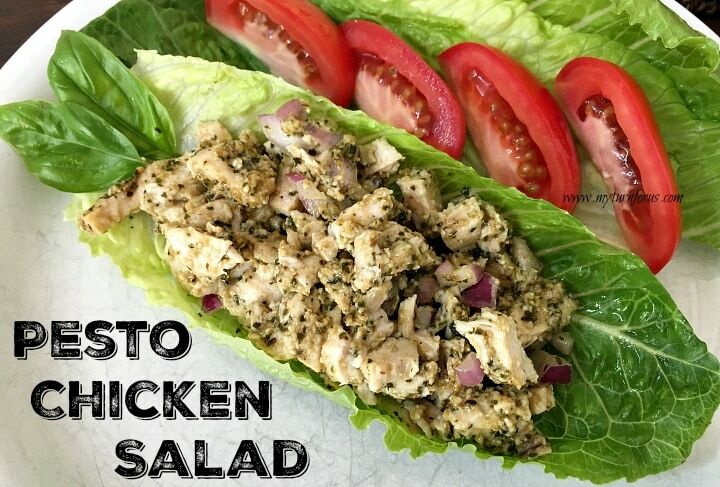 I had to click over from Dishing it because we go to a favorite restaurant frequently and I ALWAYS get their pesto chicken salad wrap!!! Just yesterday I asked our waitress if the owner makes it or has it brought in. She told me he makes it everyday; he grills the chicken first. I am going to try yours too! Thanks!!! !